In sociology and cultural studies, "reappropriation or reclamation is the cultural process by which a group reclaims terms or artifacts that were previously used in a way disparaging of that group." Which brings us to the question of why, exactly, representation matters. Is it about familiarity, or about equal opportunity for daydreaming? Both, I think. But the fact that the latter enters into it already skews the results. There are echoes—faint ones, I’ll grant—of certain fashion-industry debates: Is it a shame that fashion models are not particularly representative in the hotness department? Perhaps so, but a sort of consensus emerges around a particular idea of justice: We aren’t owed mirrors of ourselves, but we’re all, ideally, entitled to some kind of ridiculously good-looking version thereof. Diversity means getting a sense of how whichever clothes would look on us by seeing them on a tall, stunning, 19-year-old who happens to share our build, skin color, and hair texture. I believe some stories need to be told by those who know what it feels to go through it. But I also believe that disadvantaged people, sons and daughters of the non-powerful, also have the write to express themselves, on issues they know better, such as poverty or discrimination, but also on other topics reserved to the upper class! I’m not doing this, writing, for me only. I’m writing and publishing stories for all the ones that were prevented before me to speak for themselves, and for all the ones that will be allowed after me to speak for themselves. 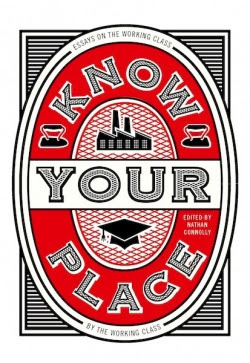 Conceived in response to media analysis of the EU Referendum, in which the working class was presented by the media as primarily scared, backward-looking, insular and monocultural, Know Your Place gives a platform to working class writers to discuss the impact of class on their own life and work. By doing this, it stands alongside fellow crowdfunded anthologies The Good Immigrant (Unbound) and Nasty Women (404 Ink) in providing a snapshot of the socio-political situation of contemporary Britain through a literary lens. The ultimate effect of this imbalance, argues de Waal, is an erasure of the working class voice: 'The definitions of 'literature' and what constitutes “good taste” are tightly bound up with class. What the working class or underclass produce is rarely included in the canon; street literature, songs, hymns, spoken word, dialect and oral storytelling is nowhere to be found.’ Tracing the historic root of this class imbalance, Lee Rourke reaches back to Marx’s analysis of the novel as a product of bourgeois tastes, an art form which developed coincidentally with the rise of the bourgeois in society at the end of the 19th century, to reflect the tastes of bourgeois readers – a trend which is still reflected in the contents of the average Booker Prize shortlist. On top of these long-standing issues, Austerity has bought about a crisis in working-class access to culture. Cuts have limited access to essential resources such as libraries, whilst the knock-on effects of reduced Health and Welfare spending have disproportionately affected the working class. Sam Mills, in ‘The Benefit Cuts’, and Rebecca Winson in ‘Disguised Malicious Murder’, both discuss the impact of austerity on working-class households, in reducing horizons and an increased need to care for relatives who can no longer rely on state aid, as well as an accompanying media narrative which seeks to divide the working class into ‘skivers’ and ‘the deserving poor’. Schemes such as the New Deal, which gave working class graduates time to write without the pressure to find work, have disappeared. 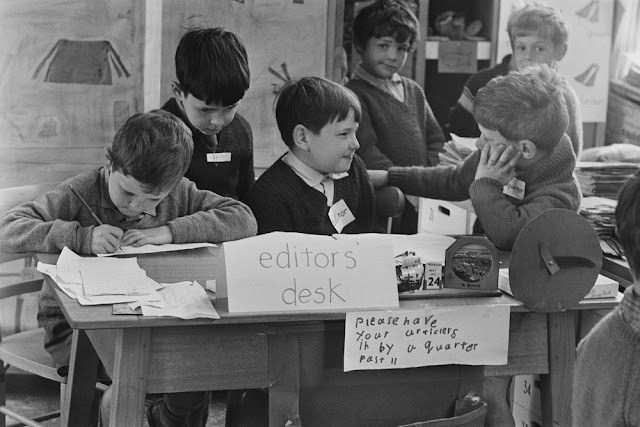 In the digital world, there are more opportunities for working class writers to find their voices, and make themselves heard, through blogs, online journals and social media, and there is a small but vibrant collection of publishers who are agile enough to identify and promote their work. That there is a desire for such voices to be heard is evident through the crowdfunding successes of anthologies such as Know Your Place. Mainstream publishing is also responding, to some extent: Kit De Waal founded a scholarship for working class writers, which has been supported by agents and publishers, and some of the larger houses have begun talent outreach programs into less-privileged areas. But there is more to be done.